If you are a fan of EDM music, then you surely know how the music can transport you to a different and amazing place no matter where you are. However, there are some venues and festivals that once you visit and enjoy them, you are very unlikely to have another experience that surpasses them. This feeling will vary from fan to fan, but it will well be worth it once you get to experience it. There are several EDM concerts to choose from in the world calendar, many of which you can find at creativetimes.co.uk's guide on rock concert. However, one EDM concert that will definitely blow you away is the Rainbow Serpent Festival. The Rainbow Serpent Festival is held in Victoria, Australia, every year in January over the long Australia Day weekend. 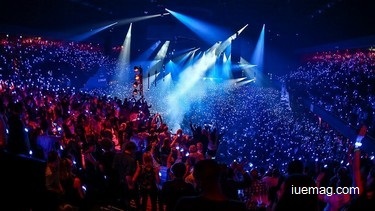 The festival was originally known for its techno and trance music, but other forms of EDM and non-electric music are also performed at the festival on different stages. If you are wondering what is with the concert’s mysterious name, it comes from an aboriginal myth about a rainbow serpent. During the festival, people wish each other a Happy Rainbow to encourage a feeling of communal togetherness. Nowadays, the concert has grown to include different art workshops, installations and other attractions earning itself the title: a lifestyle festival. A lot of emphasis has been given to the well-being, sustainability as well as performance and art, in general. Next year, January 2016, will be the 19th year of the events anniversary. Apart from the awesome music and festivities that the Rainbow Serpent Festival brings, the festival is also a key economic cornerstone for the farmland area in Beaufort, where it is held. The festival is also referred to as a lifestyle event because it brings people of diverse backgrounds together in one venue. The Rainbow Serpent Festival includes all sorts of cultural arts and foods, as well as market stalls and booths that give a healing arts experience. It is a true lifestyle experience that encourages, promotes and motivates people of all walks of life to enjoy the event. More importantly, however, the music is always great, especially if you love EDM and chill out music. You can easily get immersed in the atmosphere of it all because the music is played 24 hours a day over a 4 day period by an assortment of artists including DJs and live performance artists. Another great thing about the festival is that it encourages the use of costumes and self-expression among attendees. Most attendees therefore become a part of the art and color that is important to the festival. There are many different art and cultural performances that you could attend, as aforementioned. However, if the themes and activities at The Rainbow Serpent Festival are too much for you to bear, I also will recommend you to go through the traveller’s guide on EDM festivals to find the right EDM festival for you. Jenny Richards has been an EDM aficionado since the year 2002. She has a track record of attending the major international EDM festivals and reviews the festivals for several major news vendors. Visit her blog for more information. Any facts, figures or references stated here are made by the author & don't reflect the endorsement of iU at all times unless otherwise drafted by official staff at iU. This article was first published here on 11th May 2015. Jenny Richards is a contributing writer at Inspiration Unlimited eMagazine.